I’m listening to classic holiday songs and gearing up for Christmas, yet I can’t help but think back to the wonderful time everyone had during Stroll on State, presented by Illinois Bank & Trust. Is it just me or do the days seem to be flying by faster than normal lately? One minute our team was in full on planning mode for Stroll on State and the next we’re talking about how we can’t believe it’s already over. This may have been my favorite Stroll yet. I feel like I say this every year…but it’s true. Here are my Top 5 Reasons to love Stroll on State more and more with each passing year. Each year we always have our tried-and-true experiences at Stroll on State. Could there even be a Stroll if there weren’t Horse and Wagon rides, Randy Finch and the Ice Brigades, SantaLand or Fire & Ice? But we also have new enhancements and fun attractions that we add to the mix. This year for the parade we were wowed by EIGHT large-scale balloons in the kick-off parade! 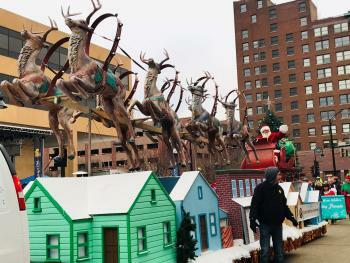 When I say large-scale, I’m talking a 35-foot Nutcracker! That’s really BIG. These balloons were so enormous it took over 85 handlers to walk them through. Impressive. Did you know that Santa was riding along on a marvelous show-stopping sleigh that was featured in the movie Miracle on 34th Street? Butterscotch the Elf was also a fun new highlight. Frosty’s Merry Markets received a bit of a revamp with the addition of new retail vendors (perfect for Small Business Saturday and holiday shopping)! Each year when I think I can’t love the event more, I end up doing just that. If you happened to pick up a copy of the Chicago Tribune on Sunday, November 18th and flipped through to the Travel Section you would’ve seen Stroll on State front and center. 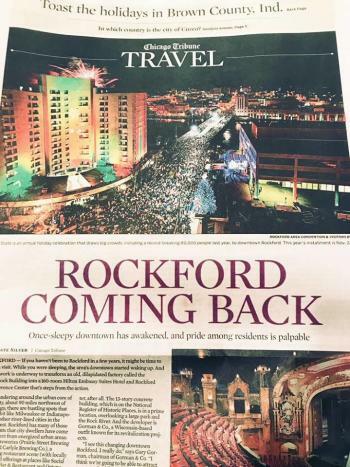 The wonderful editors took a liking to the Rockford region and our Comeback story. Stroll on State is undoubtedly a major game changer in our great success story. It also means a great deal to this community because it’s a fun time, but also because the impact of the event reaches much farther than just one night of fun. 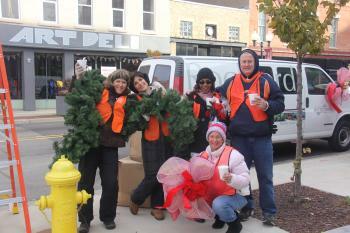 Stroll on State brings hope to our residents and positive perceptions for visitors. There’s a transformation happening around us and it’s no surprise there’s a lot of positive buzz about Rockford. Our quality of life is great, and the fun times just keep getting better. I’m inspired by this daily. My husband and I were walking along during Stroll on State and came across so many smiling faces. Everyone appeared to be in the happiest of moods and kids were in awe and wonder at all there was to see and do. That’s the magic of Stroll…there’s tons of positive energy and folks gathering together making lasting memories. I’m truly so proud to say this is my hometown. 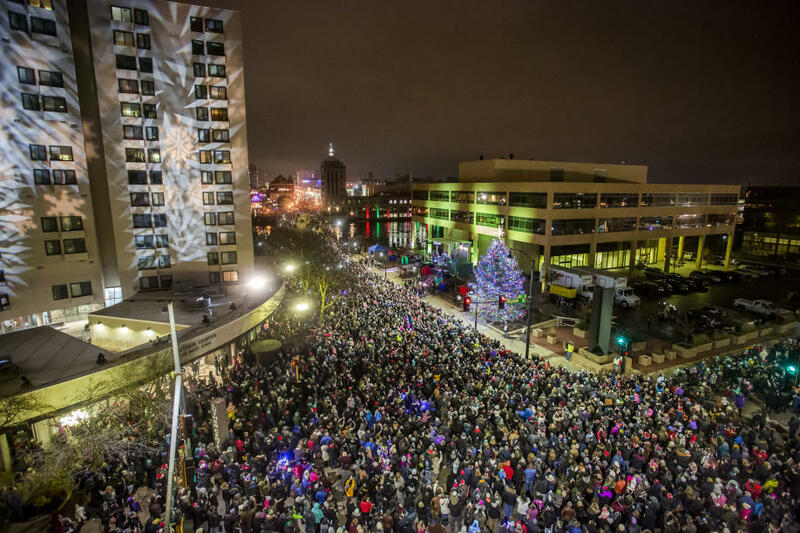 I heard a lot of comments from visitors attending who said, “I wish we had an event like this back home, why don’t we?” Glad they made their way to Rockford to enjoy ours with us! We always say that Stroll on State is an event that is put on by the community, for the community. It would not be possible to have an event of this magnitude without the help of incredibly generous sponsors, partners and volunteers. There is no ‘thank you’ great enough for these folks who help in the ways that they do. Many work year after year, hour after hour helping us with tasks large and small for the big night. We are truly all in this together and I love seeing new partnerships and friendships form all because we want to collectively make a difference in Rockford. The RACVB team is one in a million. I work with a hardworking and selfless group of people. When I’m asked about the RACVB, I sometimes have trouble accurately describing the amount of work that gets done daily. Kudos to the best co-workers and friends. They never cease to amaze me with their work ethic and motivation for the betterment of this community. Stroll is a perfect example of their dedication and another reason to love this event more every year. 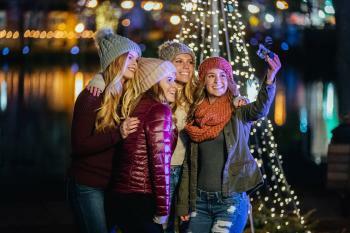 If you enjoyed your time at Stroll on State and want to keep celebrating the Merry & Bright holiday season in the Rockford region, take a look at our holiday events calendar at www.gorockford.com/merryandbright.